Megan Presson and Brianna Burke. First graduates of the Master of Science in Allied Health program. Boose, Annette Harting, "Master of Science in Allied Health 10" (2013). 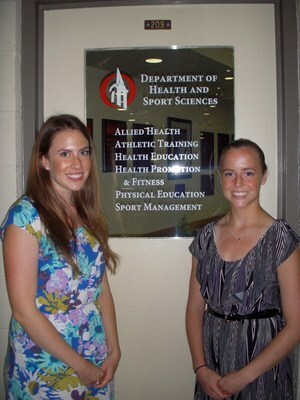 All Health and Sport Sciences Images. 312.